WeLoveAnyCar.com: Are Male Motorists More Practical than Female Drivers? Are Male Motorists More Practical than Female Drivers? Women outperform men in driving theory but not in the practical driving test. WeLoveAnyCar.com publishes the best and worst towns in the UK from Government statistics on pass marks for theory and practical driving tests. 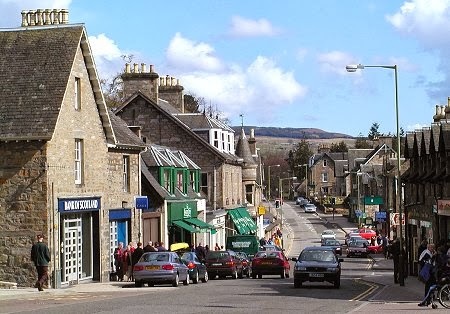 Pitlochry, Scotland, tops the pass rate on the driving theory test and, like most towns, women outperform their male counterparts when taking the exam. Harrogate, Brighton, Edinburgh and Guildford join Pitlochry (which also covers tests in Perth and Kinross) in the top 5 performers in the theory test, which last 57 minutes long and contains 50 multiple choice questions. The city with the worst pass rate, from Department of Transport figures on test results for the last 6 months of 2013, was Bradford, with a pass rate of just 46%. Not far behind at the bottom of the league table for driving theory tests are Birmingham, Boston and Berwick. When new drivers take the wheel in their driving tests, men perform, on average, 5% better than women consistently throughout the UK. Given there are around 1.5 million practical driving tests per year, with a 47% pass rate, this has prompted some commentators to ask, "Are men more practical than women when it comes to driving?" Who Are The Safest Drivers - Men Or Women? In the past women got better insurance rates for one big reason - they had less accidents than men. Different insurance rates for men and women are now banned in the UK on the basis of equality. However insurance companies, local authorities, the police and the medial profession all agree - men are more accident prone than women at the wheel of the car. Overall accident rates are falling. More policing, better road conditions, greater awareness all help but perhaps newer drivers are better trained. Theory exams are computer based, which may favour younger, more digitally aware, prospective drivers. From the moment young people start trying to pass their driving theory test, they are reliant on computers. In all likelihood they looked at a review site for their driving instructor and it can be no wonder younger drivers turn to online car review sites when choosing their first or next car. We're almost training new drivers to go online first and dealers and manufacturers must take note. Visit our car review site to find the right car for you. WeLoveAnycar.com has the biggest on-line car review site in the UK with over 120,000 car reviews all submitted in the last 16 months. The site measures satisfaction levels and owner drivers rate their cars on economy, driving experience, and other factors including if they would recommend their car to another motorist.